It is with humble acceptance of God’s will that we announce the passing on of Mzee Richard Waweru Kimani. Husband of Helina Njoki Waweru. Brother of Macharia Kimani and Njoki Thuo. Father of the late David Mike Mwaura, Jane Wanjiru Qitau, Agnes Wambui Ngugi, John Mwangi Waweru of Bothexi Limited, Esther Wanjiku Waweru and Joseph Kimani Waweru. Father-in-law of Gibson Gitau Kanini, Erastus Ngugi Macharia, Lucy Mwangi and Josephine Wanjeri Kimani. Grandfather of Stephen Kimani, Samuel Macharia, Charles Waweru, Richard Waweru Wanjiku and Richard Waweru Kimani among many others. Great-grandfather of many. Family, friends and relatives are meeting daily at his home in Kiratina Village, Komothai for prayers, thanksgiving and funeral arrangements. The cortege leaves Kenyatta University Funeral Home at 9:00am on Friday 26th April, 2019 for a funeral service and burial at his home next to Kiratina Shopping centre, (Gwa-Kariu) in Kiratina Village, Komothai. It is with humble acceptance of God’s will that we announce the death of our beloved Rebecca Winfred Kabura (Becky) which occurred on Good Friday morning, 19/4/2019. Daughter of Mr. Joram Kamau Isaac and Mrs Victoria Njoki Kamau. Sister of George Kariuki (University of Nairobi), Martin Ngaba (Loreto Kiambu Girls High School), David Mwangi (Brook House school Karen), Catherine Naomi Nyambura (Kenya Girl Guide Association HQs), Antony Johnson Gathige (Finland). Sister in law to Nancy Osundwa, The late Lillian Nakhanu Ngaba, Ann Machariah, Linet Wanja and Beatrice Kariuki. Loving Aunt to Ivy Aseka Ngaba, Eric Brandon Ngaba, Victoria Njoki Ngaba, Isaac Amani Kamau, Michelle Kabura Mwangi, Myles Kamau Mwangi, Christian Kiragu Ngaba, Lisa Imani Ngaba, Tiffany Kibui Mwangi. Family and friends are meeting daily at the family home in Old Donholm Hse number 69 for prayers and contributions from 6pm. There will be a memorial service on 24th April 2019 at PEFA church Donholm from 2-4 pm. The cortege will leave Kenyatta University Funeral Home on Friday 26th April 2019 at 8am for the requiem mass at the family farm in Kunguini Village in Muranga county. 2nd Timothy 4:7 — I have fought the good fight, l have finished the race and I remained faithful. It is with humble acceptance of God’s will that we announce the death of our family Patriarch, Mzee Richard Ojuok Obonyo. 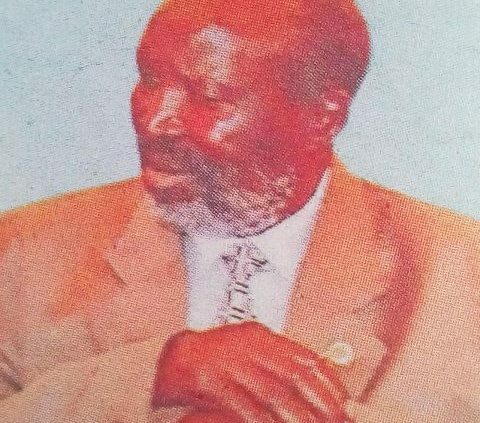 Son of the late Obonyo Ngode and the late Maritha Owuor Nyar Nyakwaka. Loving husband of Mama Rosa Ojuok and the late Pamela Ojuok. Father of Pamela Ndege, the late Judith Auma, Maureen Aketch of H/Bay Level five Hospital, the late Samuel Ojuok, Asenath Okendo, Mr. Jared Ojuok of the National Police Service Headquarters, Jogoo House ‘A’, Julia Aketch, Stephen Ojuok, Kenneth Ojuok, the late Duncun Ojuok, Lilian and Sarah, Pastor Jack Odalo, Duncan Odalo (Nyakwaka Caterers), the late Enos Awino, Collins, Amos and Mwalimu Elisha Odalo. Brother of the late Wilson Odalo Obonyo, and in-law of Mama Florence Odalo and the late Mary Odalo. Father-in-law of Lilian Omondi, Eunice Onyango-Ojuok and Mama Kezia Onunda. Brother-in-law of the late Awino Mbuge, Nicholas Mbuge, Tobias mbuge, the late George Mbuge, the late Chief Oswago Okoth, Ngore Okoth, Norah Akungu and Maritha Adenga. Sons-in-law are Ndege Aseda, the late Cllr. Elisha Aketch Chieng, and Okendo Ayaa. Nyawana of the late Aseda Mola, the late Chieng’ K’Omuga, the late Mzee Elly Bolo, and Mama Jenipher Bolo of Asembo-Omia. Grandfather of John Kelly, Eucabeth, Azariah, Jackline, Molly, Japheth, Haggai, Condoleezza, Prudence, Judy, Winnie, Methusellah, Jackline, Brian, Gloria, Precious, Abram and Israel Ojuok. The main fundraising to be held on Wednesday 24th April, 2019 at Professional Centre, Parliament Road, Nairobi as from 5.00pm. The cortege leaves Christa Marianne Hospital Mortuary on Sunday 28th,April 2019 for his home. 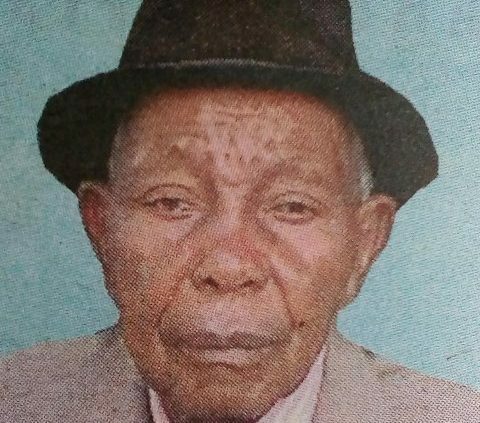 Burial will be held on Monday, 29th April, 2019 at his home in Kangode, Apondo Village, Kojwch East Location, East Kasipul, Homa Bay County. 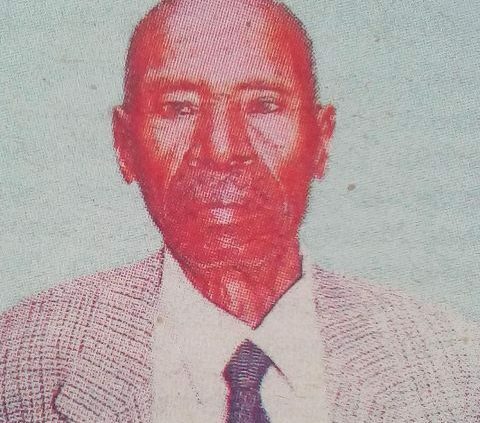 It is with deep sorrow and humble acceptance of Gods, will that we announce the passing of Mzee Joseph Ogwankwa Omari of Riamichoki Sub- location, Masaba South Sub-county, Kisii County. Son of the late Chrisantus Omari Keronya and the late Mama Sophia Kerubo Omari, the late Nyaera, Masese and kwamboka. 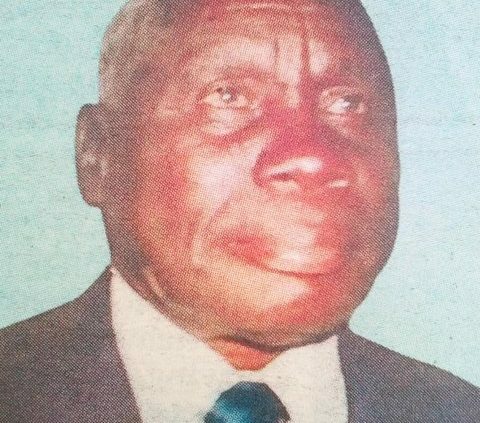 Husband of the late Mama Abigael Okenyuri and the late Mama Pauline Nyamboba. Father of Drusillah, Callen, the late Margaret, Evans (NYS) Alice, Gekonge, Alfred, the late Cliff, Kefa (USA), Apollo, Musa (KDF), Everlyn, Obande, Florence (Prisons) Arasa, Mackline, Onsarigo (USA) and Monica. Father-in-law of Ombuna, Okenye, Kenani, the late Doreen, Jane, Thomas, Beatrice, Rachael, Evelyn, Maggy, Elizabeth, the late Risper, Alice, Alex, Kibet, Nidah, Judy. Brother of the late Omae, the late Yusaria, the late Monica, the late Peter, Priscah, Marsella, the late Agnes, the late Thomas, Morang’a, Catherine, Miregwa, Ratemo, Teresa, Gesare, Alice, Paul, John, Sabina and others. Cousin of Mose, Juma, Charles, Benfred, Maranga Irungu, the late Arasa, the late Mokua, the late Otwori and others. Uncle of Mary, Stephen (prisons) Sammy, Richard, Ngina, Janerose, Elijah and others. Son-in-law of the late Mr. and Mrs. Gesebe and the late Mr. and Mrs. Onsarigo. Brother-in-law of the late Maragia, Obiri, Nyachoti, Nyakundi, Obino, Getembe, Ratemo, the late Col. Bichanga and others. He has 55 grandchildren and 47 great-grandchildren. The main fundraising will be on 23rd April at Professional Centre, Nairobi. Prayers will be held at Umash funeral home as the cortege leaves for his Ekona home, Ramasha Location, Masaba south Sub-county, Kisii county on the 25th April 2019. Funeral services and burial will be on Friday 26th April 2019 starting from 10:00am. Amidst Sorrow, we give thanks to GOD accepting HIS Will on our beloved Monica Njoki Mbaria (Mama Carol) who passed on at PGH Nakuru Thursday 18th April 2019 at 6:00am. Wife of Joel Mbaria Njora, and Mother of Carol Wachinga Mbaria, Mercy Nyambura Mbaria, Rosemary Muthoni Mbaria and Gladys Njeri Mbaria. Daughter of Augustine Gitau Mungai and Jane Nyambura Gitau (Heshima, Engashura Nakuru). Sister of Rose Wangui, Gladys Njeri, Lucy Wanjiku, Anne Njambi, Paul Mungai, James King’ori, Winnie Wambui and Daniel Mbugua. Funeral and burial arrangements are taking place at Greensted, East-gate Estate at their home daily from 4:30pm. 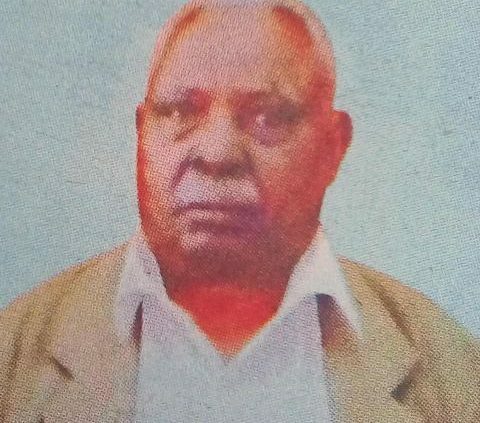 The Cortege will leave PGH Mortuary at 9:00am on Wednesday 24th April 2019 to Gilgil Kamathatha Location for funeral service and burial thereafter. 1 Th 4:14 — For since we believe that Jesus died and rose again, even so, through Jesus, God will bring with him those who have fallen asleep. It is with profound sadness that we announce the passing away of Margaret Wangui Kwambata. Daughter of the late (Jane Mumbi and Stephen Ngatia). Loving wife of Wilson Kwambata Gathura. 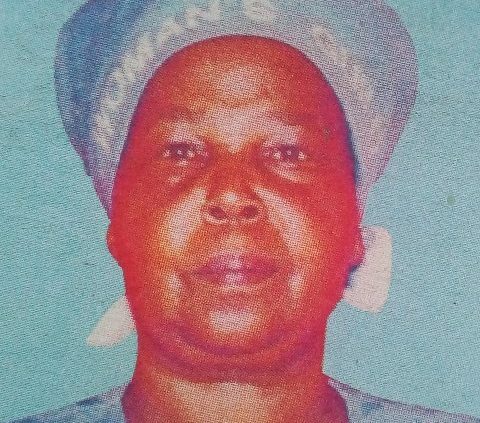 Mother to the late Frederick and Lucy Gathura, Beulah and Joseph Mukenere Mucharie, Ngatia and Esther Gathura, Dr. Jane and Patrick Kariuki, Susan and Isaac Gichia and Anne Wanjiru (Ciiru). Grandmother of George and Eddie Gathura, Gakenia, Mwanzo and Jubilee Mucharie, Kwambata and Njeri Ngatia, James, Lisa and Kwambata Kariuki, Amy, Wangui and Wangari Gichia and Kelly Charles Gathura. Sister of the late (Joshua Kabugi, Hiram Maina, Moses Ndirangu, Stephen Gatemi, Wanjiru Maji, Wairimu Mukoma, Nyambura Kariamburi), Sister-in-law of the late (Meshack Kwambata, John Kwambata, Peter Kingo’ri, James Ndegwa) Mumbi Kabera, Njeri Wanjoya, Wangari Kamau and Priscilla Wanjiru. Auntie of John Gathura, Peter Gathura, Catherine Nyambura and many others. Funeral meetings are being held at 4.00pm daily at their home in Ongata Rongai. The Funeral will take place on Friday 26th April. The cortege will leave Montezuma Funeral Home at 9.00am to proceed for a Funeral service at PCEA Makadara (Nairobi) at 10.30am. The burial will take place at Langata Cemetery thereafter. 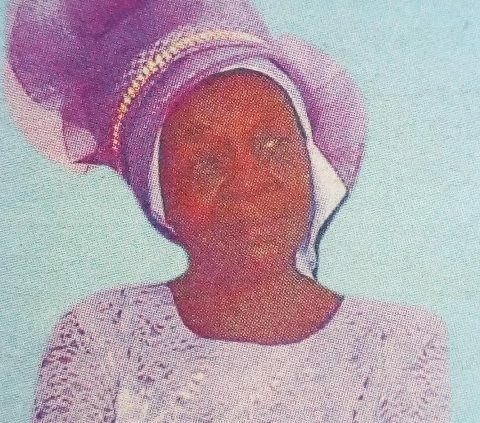 It is with humble acceptance of God’s will that we announce the passing on of Mama Dorcas Ayuma Mukhutsi on 19th April 2019. Wife of Mzee Joel Mukhutsi Lung’aiya of Bwimalia Vihulu village. Mugomari Sub-location Isukha West, Kakamega County. Formerly the overseer, Shitochi Quarterly meeting. Loving Mother of Obeid, Martin, Benson, Ken, Bernard, Gerrishom, Joy, Gibson, Faith and Joan Mukuhtsi. Step-Mother of Carol, Evans, Edgar, Dennis, Godfrey, Maureen, Lusinde and the late Shitakha. Foster mother of Hellen Lusala, Judith Juma, Douglas Majani, George Majani and Zadock Musisi. Sister of Edah, Pricillah, Loice, Charles, the late Hellen, Jackson and Gladys. Mother-in-love of Alfred Idagiza, Charles Kamau, George Wambua, Rachel, Olive, Alice, Phoebe, Eunice, Irene, Stella, Lydia and Gloria. Auntie of Christine, Wanda, Michael Alusiola, Lilian Mukoto, Maurice Lumumba, Patrick, Daddy, Teresia, James Muteshi Amongst Others. Loving Cousin of Silverse Anami, George Muruli, Mabel, Hellen, Janet among others. Devoted and adoring Grandmother of many. 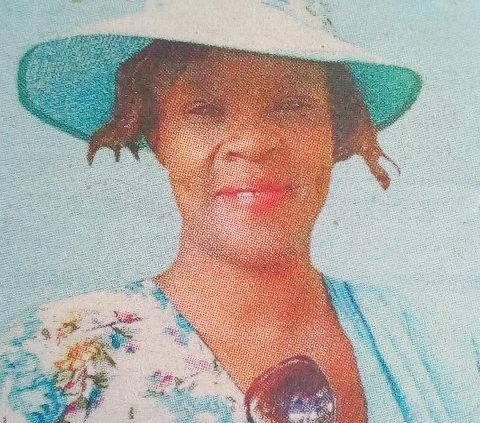 Friends and relatives are meeting daily at All Saints Cathedral from 5.00pm for prayers and final arrangements for her send off. There will be a Fundraising to offset medical bills Today, Tuesday 23rd April 2019 at All Saint Cathedral from 5.00pm. The cortege leaves Coptic Hospital Mortuary on Thursday 25th April 2019 for a Requiem service at Friends International Centre (FIC) Church on Ngong Road from 11.00am. Burial will be at her home, Bwimalia, Vihulu village on Saturday 27th April 2019 from 10.00am. Mama Dorcas, in God’s hands you rest, in our hearts you live forever. 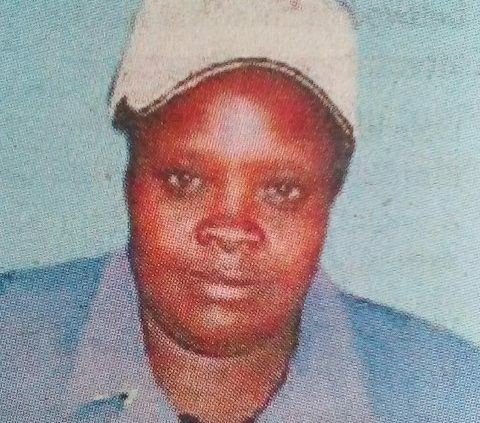 It is with profound sadness that we announce the promotion to glory of Lorine June Wangari Njenga that occurred on 19th/412019 at Kenyatta National Hospital. Daughter of Walter Njenga Ngaruiya (County Government of Kiambu, Kikuyu sub county) and Jane Wambui Njenga (Formerly Postbank Kikuyu). Sister of Peninah Wairimu (Just Plastics ltd, Magana), Cecilia Mumbi Njenga (NYS Maasai TTI, Kajiado) and Sally Huro Njenga (KEMU University). Granddaughter of the late Gideon Ngaruiya Kimanjara, Peninah Wairimu Ngaruiya, the late Joseph Muiruri Njoroge and Cecilia Mumbi Muiruri. A niece, aunt and cousin of many and a friend to all. 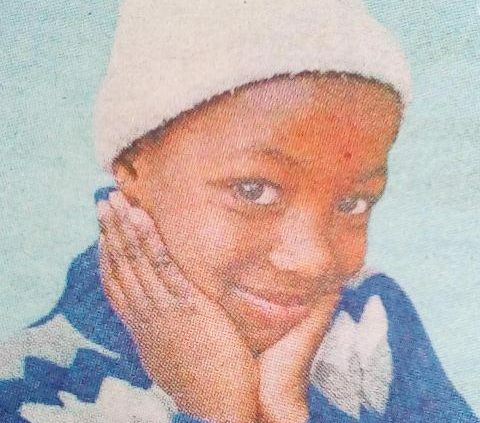 She was a pupil at Limuru Model Primary school class 4 L.
Family and friends are gathering daily for prayers and funeral arrangements at their home at Eka Ithano, Kerwa sub location Sigona ward. The cortege shall leave PCEA Thogoto Funeral Home on Thursday, 25th April 2019 at 9.00 am and thereafter proceed to PCEA Kerwa church for the memorial service. The burial shall be held at the family farm, Eka Ithano (second avenue) Kerwa location, Kikuyu sub county Kiambu county. It is with humble acceptance of God’s will that we announce the promotion to glory of Mr. John Mwangi Chege (Mwaura Wa Ngamune) of Njogu-ini village, Karimamwaro Sub-location, Ithiru Location, Kandara Sub-county of Muranga County which occurred on Friday 19th/412019 after a short illness. Husband of Anastasia Njambi Mwangi. Father of Philip Mwangi Chege (former H/Teacher Gatitu-ini Primary), Mary Muthoni (Thika), Peter Wairegi (Karuri Waters) ,Ann Njeri Mbui (Kigua), Mwangi Mugo (Kikayaya Primary), Julius Kamau (Korogocho), James Ndungu (Principal Kiamanyeki Secondary) Jacinta Wairimu Kuria (Karia Supermarket) and Felister Wanja (Karia Wholesalers). Father-in-law of Pauline Wamaitha, Janeffer Nyambura, Paul Mbui, Esther Wairimu (Mwanainchi Stores lsinya) Caroline Njeri, Rahab Wanjiru (Destiny Traders Kagio) and John Kuria Karanja (Director Karia Supermarket and Dovenest Lounge). He leaves behind many grandchildren and great-grandchildren. Friends and relatives are meeting at Dovenest Lounge Kayole Juntion, Isinya mwanainchi stores and at his home in Njogu-ini village for prayers and funeral arrangements. The cortege will leave Gaichanjiru Mission Hospital Mortuary on Friday 26/4/2019 at 8.00am for funeral and burial ceremony at his home. It is with humble acceptance of God’s will that we announce the death of John Mburiri Kimani (Ithe Wa Kahii/Bwana) which occurred on Saturday 15th April, 2019. Beloved husband of the late Mariamu Nduta Mburiri. Son of the late Kimani Mburiri and Elizabeth Nyanjiru. Father of Elizabeth Wanjiru Kaigai, Edwin Kimani, Beatrice Karira Ng’ang’a, Grace Wanjiku Muiru, Samuel Mbugua, David Ndung’u, Charles Ngigi, James Kang’ethe, Lewis Ngugi and Amos Ng’ang’a. Brother of Grace Wanjiku Stanley, Mary Mugure Gachunga and Alice Wahu Mukuria. Father-in-law of Serah Kimani, James Gacheru, Jackline Wairimu, Margaret Ngigi, Susan Kang’ethe, Catherine Ngugi, Lydia Ng’ang’a, the late Eliezar Kagia and the late Edward Muiru. Grandfather and Great Grandfather of many. The Cortege leaves PCEA Kikuyu Hospital Funeral Home on Thursday 25th April, 2019 at 9.00am and thereafter funeral service and burial at his home Kagira Village, Gikuni Kirangari Sub-location Nyathuna Location Kabete.